Meet the new superfood skincare squad. 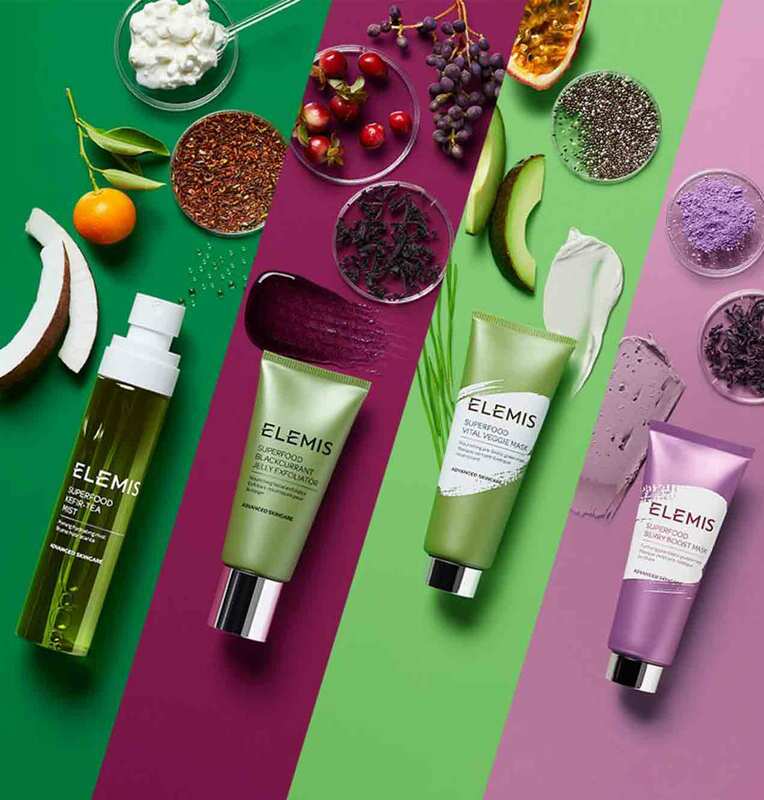 Packed with supergrains, supergreens and superfruits, the new additions to the Elemis Superfood Skincare range work to balance and brighten skin. Tone, prime, set and hydrate with the Kefir-Tea Mist, smooth skin with the Blackcurrant Jelly Exfoliator, mix and mask with the Vital Veggie Mask and bathe in the Berry Boost Mask, a mask that purifies and mattifies the skin. Available from Spirit One Spa at The Galmont Hotel, Galway.